General Grievous is Arriving to Star Wars™ Battlefront™ II on October 30! Get a closer look at the feared Separatist Supreme Commander and his playstyle in Star Wars™ Battlefront™ II. General Grievous* – Lethal droid commander. Brilliant strategist. Feared Jedi hunter. 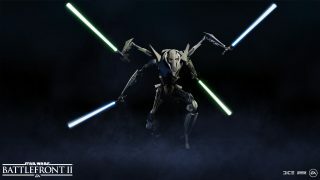 He’s earned many monikers, and on October 30, the General Grievous Update** will bring the dreaded commander’s mercilessness to Star Wars™ Battlefront™ II. Below, we cover the essentials of our most recent addition to the heroes and villains roster. To get into the nuts and bolts of the Separatist Supreme Commander, head over to our latest Community Transmission. And, if you want to get a rundown of how a hero character is developed in Star Wars Battlefront II, make sure to read our insider scoop on the subject. Becoming One of the Galaxy’s Most Notorious Villains……..
Our Senior Producer lists the most revealing parts of the action-packed video – including shooting a grenade in mid-air. 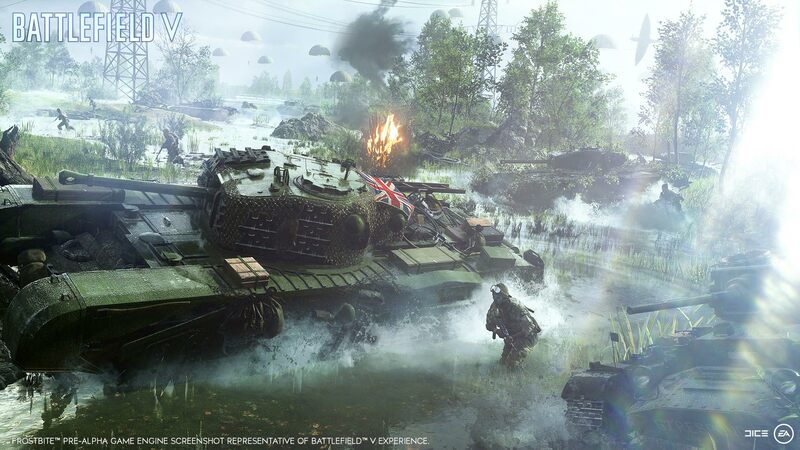 The Battlefield™ V reveal trailer was recently unleashed – and we’re beyond excited at your reactions to this first look at what the game will offer when it releases in October 2018 on Xbox One, PlayStation® 4, and PC. Now, crank up the volume and watch it again, before I deep-dive into 10 of the most important, exciting trailer moments. 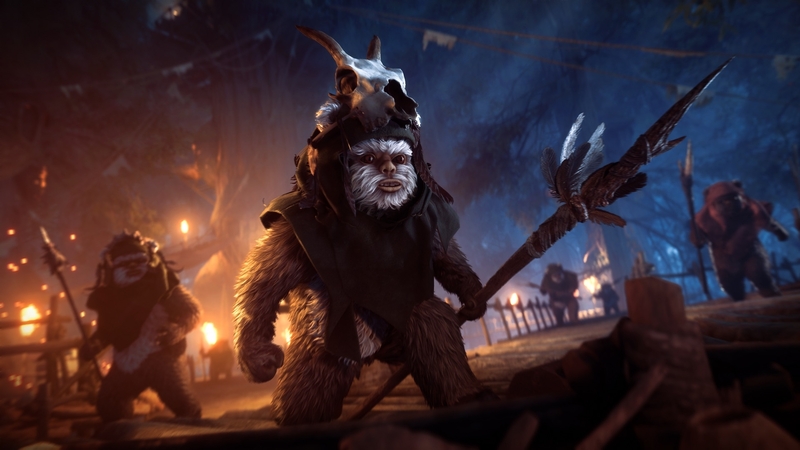 Hunter meets hunted in the new limited-time mode Ewok Hunt starting April 18. Ghost Recon: Wildlands Ghost War PvP Update #4 has launched. In this update, we bring you special improvements for Xbox One X! Bringing up 4K, HDR enhancement and faster loading times, your game will be feeling better than ever! We hope that with this update, playing Tom Clancy’s Ghost Recon Wildlands on your new console will be an especially amazing experience. UPDATE 8.02 AM UTC: The maintenance has now started. We will keep you updated. UPDATE 23.10.17 7.34 AM UTC: The maintenance will start in 30min. We will let you know once it begins. We have the pleasure to announce that we will be able to apply the patch to fix the Thermal vision next Monday, as well as bringing some other updates for both the Campaign Mode and Ghost War. Please note that this patch has been developed to fix as quickly as possible the Thermal Vision perk. Two patches with more fixes and improvements will be published in November. 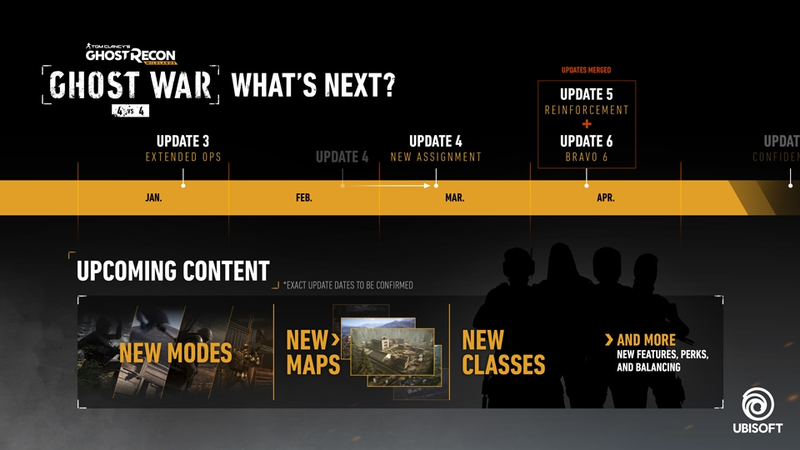 While the first one will be lighter in content, the second one will bring additional content to Ghost War, such as a new class, new maps, and a new game mode…stay tuned.